You may have been hearing rumblings about a mythical beast known as account-based marketing (ABM). Though it’s been around for a while (since the days of mad men, some would argue), it’s only recently started making waves. So is it all hype, or is ABM everything it’s purported to be? Well, wonder no more. Here is everything you need to know about ABM. While traditional b2b marketing is about pulling in as many leads as possible to fill the top of your marketing funnel, ABM is about zeroing in on those specific accounts that are high-value and most likely to buy. So rather than targeting your primary buyer persona in an industry, you are instead targeting multiple relevant stakeholders within specific companies who are likely to drive the decision to hire you. While the fishing analogy is often thrown up when discussing ABM, it is a handy way to illustrate the concept. 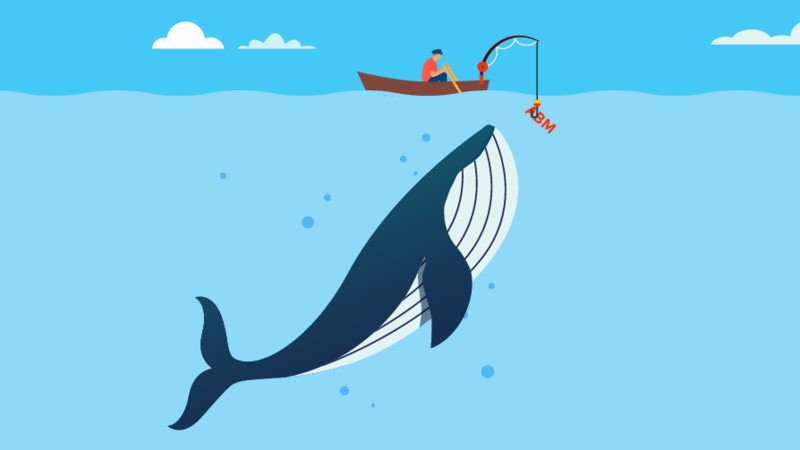 Think of traditional b2b marketing as casting out a wide net – if you’re lucky, you’ll get one or two big fish, a few not-so-big fish, and the rest will have to be thrown back into the water. ABM, on the other hand, is like diving into the water with a spear – you can take precise aim at the biggest fish, plus you’re not wasting time sifting through all the small fish. Note that ABM is not necessarily a replacement for inbound marketing – in fact, the two can complement each other. Inbound marketing can be more of a slow burn, the leads taking a little time to work their way through their buying journey, aided by your content and workflows. ABM on the other hand, is a more sales-intensive strategy, however, can work more quickly, as you’ll be working with leads in your sweet spot who look to have an immediate need for your services. Who should be using ABM? ABM is basically built for b2b companies. Unlike a b2c company, your pool of potential clients is likely to be small and easily defined by comparison. B2b concentrations can also be fairly high, with a small number of big clients generating a large percentage of your revenue. ABM is about crafting a campaign specifically for that account, and creating highly personalised, relevant content that speaks directly to their challenges and pain points, helping you be heard above the noise. When looking to land these big accounts (or big fish, if you will), the ABM approach makes perfect sense. Clients these days have a lot less patience for the hard-sell approach, plus they are more knowledgeable and savvy than ever. You can bet they’re going to be doing their homework and researching all their options before they even think about engaging you directly. This is where you use all the data at your disposal – firmographic data (number of employees, annual revenue, location etc.) predictive analytics, and business intelligence – to work out who your targets should be. (This is sometimes referred to as an ideal customer profile.) It’s worth also considering things like influence in the market and potential for higher-than-average profit margins when compiling your list. It is essential that both sales and marketing collaborate to define the list of target accounts. After all, when you think about it, ABM is pretty much what sales does – they identify accounts most likely to buy and focus almost exclusively on them – so you need insight and cooperation from both sides in order to make an ABM campaign work. This is where you work out what challenges the account is facing, how decisions are made within the organisation, and who is involved in making decisions (the stakeholders). In effect, you want to build organisational personas, as opposed to individual buyer personas (though you may be able to map your existing buyer personas onto certain decision-makers in that organisation). This information will dictate how you will frame your approach and where you will engage your prospects. Remember, the goal is not to reach out to one or two decision-makers, but to all of them. Now that you know who you want to engage, it’s time to create content they simply can’t resist. This step is all about personalisation – your content shouldn’t just address the pain point of that decision-maker, but also the specific challenges of the business as a whole. This is not to say that you can’t use existing content – just make sure the content is updated and tailored so it reads like it was created just for that account. Also, think outside the box. What would be likely to grab the attention of each stakeholder in the business? A report on their progress compared with competitors? A personalised audit of their best-practice adherence? A quote determining how much they could have saved / achieved / grown with your services in the past year? You’ve got irresistible content – now, how do you get your prospects to see it? Use your research to determine the optimal channels with which to deliver your content. Consider where your prospects ‘live’ on social media, and how they engage with websites, blogs, and emails. And don’t be too quick to dismiss more traditional routes – a personal, well-crafted snail mail campaign can also be surprisingly effective. Now that you’ve laid the groundwork, it’s time to run the campaign. This step is about coordination. You need to ensure your campaign is coordinated across the various channels you’ve identified, and that sales and marketing are also coordinating their efforts so you can present as a united, coherent front. It is important to measure and analyse your results as your campaign progresses, so you can optimise other campaigns. For example, in the early stages, you might ask yourself how many new contacts you’ve established within the target account, or how many website visits you’ve received from the target account. In the later stages, you might measure the number of marketing-qualified leads you’ve generated, or the number of meetings you’ve established. Eventually, if all goes smoothly, you’ll be able to determine the number of customers you won and the amount of revenue generated, helping you to firmly establish the campaign’s ROI. What are the benefits of ABM? Because your campaigns are customised to your accounts, they will really resonate. Customers will appreciate that you have taken the time and effort to really understand their issues, and will reward you with high engagement. ABM is also a great way to maintain customer satisfaction post-conversion. By staying on top of what is happening with your accounts, as you have to do when running an ABM campaign, you remain highly responsive to their needs, and are able to capitalise on opportunities to provide value to your customers. This type of customer satisfaction breeds strong customer loyalty – and isn’t that what we’re striving for, in the end? The whole idea of ABM is that all your resources (your spear) are targeted to one account (your big fish), so, in theory, there should be zero waste of resources. Well, I’m not sure if that is truly possible in practice, but by narrowly focusing your efforts on prospects that are likely to convert, and not engaging with lots of prospects that are unlikely to convert, resource waste certainly becomes minimal. As I mentioned above, ABM is a great way to cultivate sales and marketing alignment. After all, ABM is really about operating with a sales mind-set: targeting high-value accounts, and working out how to bring them to the table. With an ABM campaign, both sales and marketing are speaking the same language and working towards the same objectives – and it doesn’t get much more aligned than that. According to a 2014 survey by ITSMA (who, in fact, coined the term ‘account-based marketing), ‘nearly all B2B solution providers that measure Account Based Marketing (ABM) ROI find that ABM delivers higher ROI than other marketing initiatives’. And with only a small set of targets to measure and analyse, determining the effectiveness of a campaign – and its ROI – becomes a piece of cake. What kind of resources are needed? Even though ABM has been around for a few years, it has only recently gained ground, largely due to the fact that the technology has evolved to make running an ABM campaign so much easier. In order to run an ABM campaign, you need a good ABM platform. This is on top of your marketing automation platform – while an ABM platform can (and should) integrate with your marketing automation platform, you unfortunately can’t run an effective ABM campaign with your marketing automation platform alone. Think, for example, about how powerful it is to send an initial targeted report to five of your ABM targets, before being notified when one of those prospects is actively reviewing your website. Yes, this is an extra investment – but just about everyone who has tried ABM says the results are well worth it. Some ABM platforms you could consider are Engagio, LeanData and DemandBase. 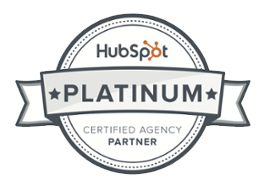 We also find HubSpot’s prospect, social and sales tools to be invaluable. Do I need to employ a marketing agency to do ABM? Well, no. But it would help a great deal. When you engage an agency, you tap into their expertise on everything from strategy a, to content creation, to technology. This is particular useful if you’re trying ABM for the first time. Remember, with an ABM campaign, coordination is key – your message needs to be consistent across all channels, your sequencing needs to be well thought through, and you need to include all of the stakeholders in the target organisation in your thinking. Any false step could be damaging to your results. Think ABM could be for you? If there are some ‘big fish’ you’ve had your eye on, then ABM could be just the thing to get them on the hook. We’ve experienced results of up to 20% customer conversions with this strategy - so we’d say it is definitely worth a try! An agency with experience in inbound marketing as well as ABM can help. Download our 7-step checklist to choosing your inbound agency today.